Here at Robert’s Fence we fabricate our own PVC fence. We offer a wide variety of styles and colors to choose from. In addition we can customize any style to a specific height and width you might need. All of our privacy styles are manufactured with 7” top and bottom rails to insure durability and longevity. We offer PVC products for every different taste so that you will undoubtedly purchase the perfect fence style for your home. We also offer various semi-privacy designs which will provide a little bit more of an open feel to your property. This gives you the privacy you desire, with the feeling of wide-open spaces. Not looking for privacy at all? Choose from one of our many spaced picket styles. There is a large variety of styles to choose from as far as the design of your fence. Whether looking for a wide traditional picket or a square victorian picket we can meet all of your needs. The pickets are through the rail, not attached, giving the same appearance to both sides of the fence. For both you and your neighbor, it is pleasing to the eye. Post and rail is a ranch style fence that comes in 2 rail, 3 rail, 4 rail or even a cross buck option. These are available in a 2”x6” rail, 1-1/2”x5-1/2” rail or a diamond rail. Privacy fence, semi-privacy, contemporary looking pool fence and picket fence choices that all look stunning. 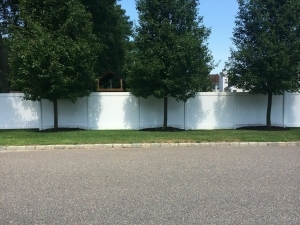 Our vinyl fence comes in a variety of styles with matching decorative accents and is nearly maintenance free. If you have any further questions on our PVC Fencing, give us a call today! Our professionals will be more than happy to assist you. 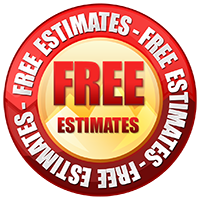 We can set you up for a free estimate at your earliest convenience. Contact us at 631-851-9730. Thank you for considering Robert’s Fence Company.